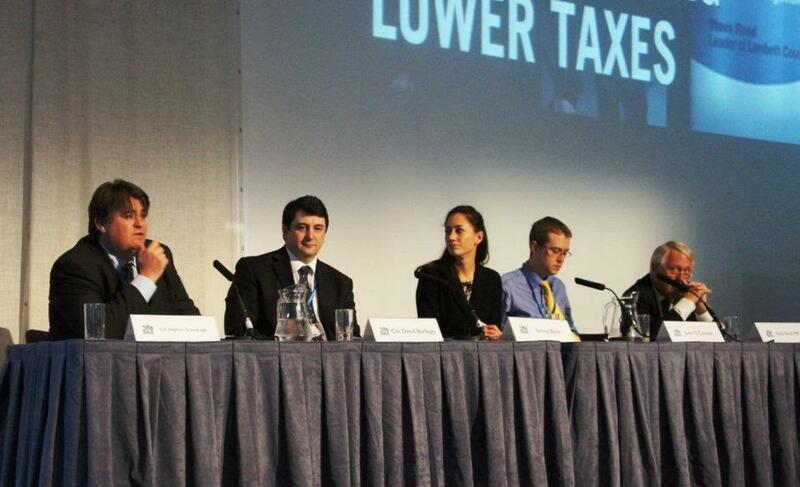 My speech at the 2011 Conservative conference to the TPA Fringe Event with Bob Neill MP, Cllr Stephen Greenhalgh and John O’Connell. About 75 people there, a good occasion. The Royal Borough has the lowest council tax outside of London. In 2007 we inherited a tax position from the previous LibDem Council that had increased tax by 24.3% over 4 years, but failed to introduce new services or markedly improve existing ones. We were elected in 2007 with a commitment “to aim to keep Council Tax at or below inflation, without cutting services”. In 2011, assisted by the 2.5% windfall from central government, we cut the actual tax by half a percent which was a massive 5.1% reduction in real terms compared to September RPI of 4.6% . The first, and prerequisite element to cutting council tax is a political will to do so. If the Leader and Cabinet are not instructing and insisting the Sir Humphrey to marshall their troops and align their budgets to be reducing in size, nothing much will change. We sometimes get back – even very recently – “Can’t” as the response to a difficult request. In practical terms the ways we make savings are numerous and not predicated on a single magic wand. When contracts are up for extension – when a retendering exercise is the alternative, considerable leverage emerges. We have renegotiated contracts – our Parks contract we’ve just renegotiated now has an inflationary uplift of CPI. Minus 3%. And that contract has been benchmarked at a reasonable cost. So in the next four years we will be paying 12.5% less for the same service, and we’ve had some goodies thrown in as well like a contribution to a fountain in Windsor. The point here is not only is this a great deal for residents, it has been my elected Members that have refused the first deal we have negotiated – and gone back for more. We did the same on our refuse contract. We kept going back for more savings, more reductions and squeezing the price until the team were pleading for us to take the deal. So we asked them for a bit more, and then we settled…..
We’ve implemented lean systems thinking to make ourselves more efficient, as widely used in the private sector. We still review every request for recruitment, four and a half years after beginning, and discover that the world doesn’t stop turning when requests for admin assistants, project coordinators and – dare I say it – equality and diversity officers are turned down. We have instead sought to share posts or departments where feasible – in road safety, in legal services, for conservation officers, for CCTV. We were the only Conservative Council to be a vanguard for the Big Society. That doesn’t mean that we swap paid professionals for volunteers, but it does mean that our management will be asked take a look at whether volunteers can fulfil nice-to-have roles they would normally have recruited to. We track demand more carefully, so we need fewer planners when the economy is limping but perhaps more benefits staff. We insist that everyone remembers whose money it is! So in conclusion, keeping taxes down is a hard task, but it’s worth it. In May this year, after four years of cutting taxes, the Conservatives in Windsor and Maidenhead gained 15 seats from the Liberal Democrats, the most gains of any Conservative council in the country.